Anyone here subscribe to fantasy author William King’s email newsletter? about work, writing and how to deal with technology. His new book has had a similar effect. using similar methods to those used in casinos. to the detriment of our concentration and our work." what I saw was an essential change in my life. 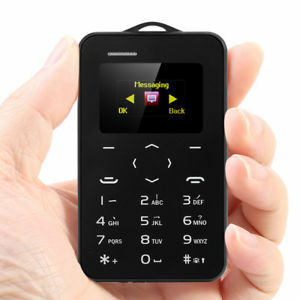 bought a tiny, distraction-free dumb phone. is smaller than a credit card and has minimal functionality. It can text and make calls… that’s about it. No internet, wifi, games or apps. It’s like going back to the late nineties but you can't even play Snake. I was attached to my phone, looking at twitter, facebook, youtube etc. I even started to get an ache in my thumb on my right hand from scrolling and swiping. So in the interest of sanity and being more connected to my family, I ditched it. Now my free time is exactly that - free. No pings of emails from the smartphone. It also means that I only check social media in work hours which saves a lot of time. and not scrolling town the feed/timeline. The theory behind this is considered and rings true. at the same time it is becoming increasingly valuable in our economy. The ability to focus without distraction on a cognitively demanding task? and getting to grips with difficult concepts in a small amount of time. But for our purposes, let’s stick to books). and hiding in a hut far from civilisation to finish the work-in-progress. for periods of time (9-5, say). Remove games and other temptations from your work PC. Go to a workspace that doesn’t have wifi (increasingly tricky I find). the kind with e-ink and no swizzy apps. Better still, swap the devices for good old books - they don’t run out of battery. or do you want to get that book written? Dan Metcalf is a children's writer from SW England. His book Paw Prints in the Somme, based on the life of a cat in the trenches of WW1 is available here.